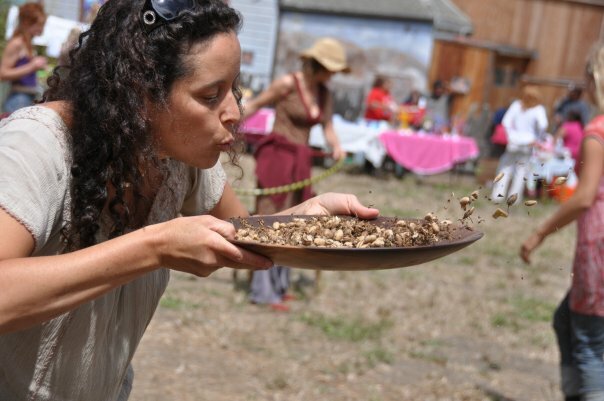 The S.P.R.OUT Seed Library hosts a community Seed Swap in Downtown Bolinas, young to old are encouraged to bring their seeds, starts, cuttings, garden supplies, or enthusiasm to swap. Bring your favorite meal-share along with a mug/place settings for a lively, seedy evening. We are super excited to host this Seed Swap at The Commons, 22 Brighton Avenue, Downtown Bolinas (the old Uniquities space). Town’s newest community space, for those that knew us back in 2005, that is how we started.. on Wharf Rd…. Supporting Seed Saving, Community Sovereignty, Food Security through a time honored tradition of swapping local seeds among community members. The Seed Library, started in 2005 hosted Swaps, Seed Saving workshops, Chautauqua reviews in Bolinas for years. The Seed Library is emerging with the rains from a dormancy with it’s first Seed Swap in four years. As always you do not have to bring to receive. The SPROUT Seed Library is a non-profit community sported seed and plant resource outreach and library in West Marin. The SPROUT Library provides seeds and plants to gardeners who in turn grow-out select plants for seed and return some to the library for others to borrow. Our goal is to nurture gardeners as earth tenders with uniquely suited plants for our bioregion while supporting genetic diversity and community sovereignty. SPROUT is an acronym for the Seed and Plant Resource OUTreach. the sprout seed library will return to west marin’s fantastic music festival, the Far West Fest this saturday july 16th gates at 10am at love field in pt reyes station. bring your love of music, dancing shoes and envelops/jars to pick out some of our fantastic edible, medicinal and herb seeds to ‘borrow’ for your late summer/fall garden. 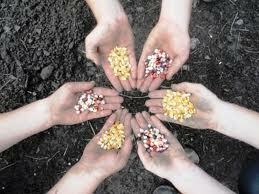 we offer our seeds- take as many as you will actually plant. select one variety to grow out for seed- save those seeds and return some to the seed library- replenishing our stock for future borrowers! simple hun!? no, not sure how to save seeds? come to the booth and find out about the basics to get you started. Chautauqua Seed Fest & Revue POSTPONED ‘TIL SPRING!! due to some snafus at the venue we have to postpone Thee Chautauqua until spring! keep you seeds safe and happy (low moisture and dry) and stay tuned for updates. Bolinas, CA — On Saturday, November 13th at the Bolinas Community Center, the non-profit SPROUT Seed Library presents the Third Annual Benefit CHAUTAUQUA Seed Fest & Revue. Seed swap, community locovore dinner, music, performance, dance, storytelling~ these elements and more are the fecund seeds germinating into this wondrous afternoon & evening of sharing, entertainment and enlightenment. A true community harvest celebration, this Third Annual Benefit for the SPROUT Seed Library, the Chautauqua Seed Fest & Revue, is founded on the belief that local entertainment for local audiences is a righteous good time. 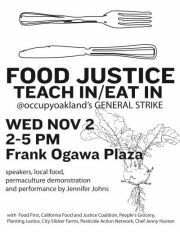 A joint collaboration with Occidental Arts & Ecology Center, OAEC, the day is a fundraiser for the SPROUT Seed Library. The Chautauqua Seed Fest & Revue begins at 4pm with a community Seed Swap offering gardeners an opportunity to share and receive a cornucopia of open-pollinated and heirloom seeds. The festive atmosphere during the swap includes a locovore dinner, tasty libations and scrumptious desserts benefiting SPROUT. This year the stellar community supporting Midnight on the Water will be leading an open musical jam germinating the afternoon. The day culminates with the Chautauqua Review, a vaudevillian variety showcase of talented performers sure to please and inspire.